Center of the design of experiments. If not specified, the design of experiments is centered on . The discretisation of directions (the same for each one), without any consideration of unit. Dimension of the space where the design of experiments is created. 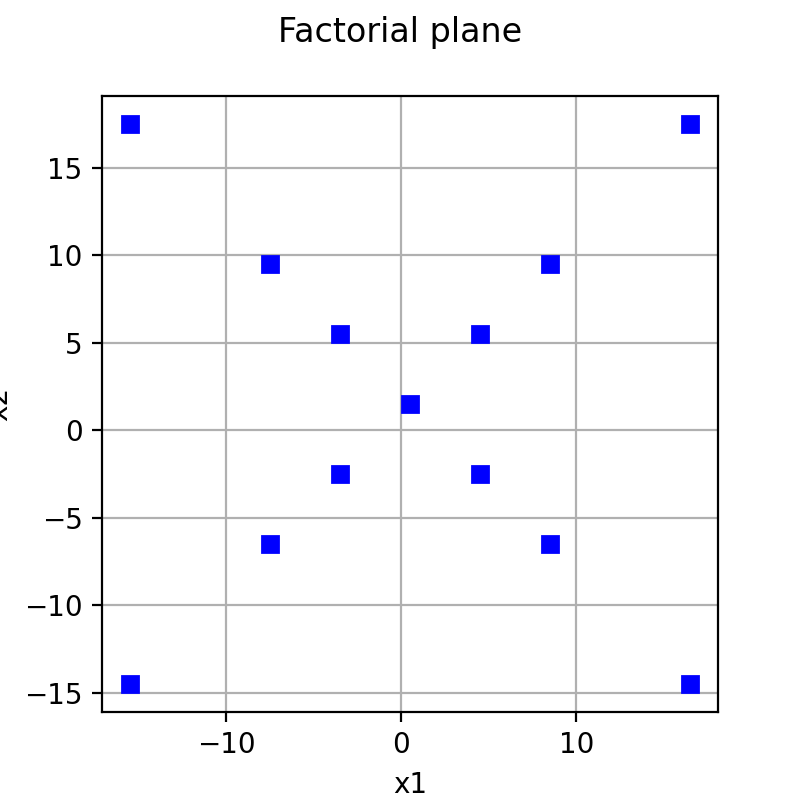 Factorial is a stratified design of experiments enabling to generate a pattern with points only on diagonals. It is not convenient to model influences of single input variables. 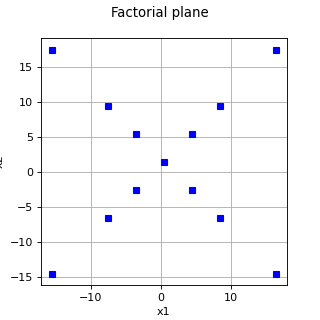 The factoriel pattern is obtained by discretizing each principal diagonal according to the specified levels, symmetrically with respect to the center of the design of experiments. The number of points generated is . In order to scale each direction and translate the grid structure onto the proper center, use the operator and of Sample.